Planning to tie the knot in 2019? A little research goes a long way in helping you find trendy eats to add on to your wedding menu. Your wedding reception is one thing all your guests will always remember; make it unforgettable. 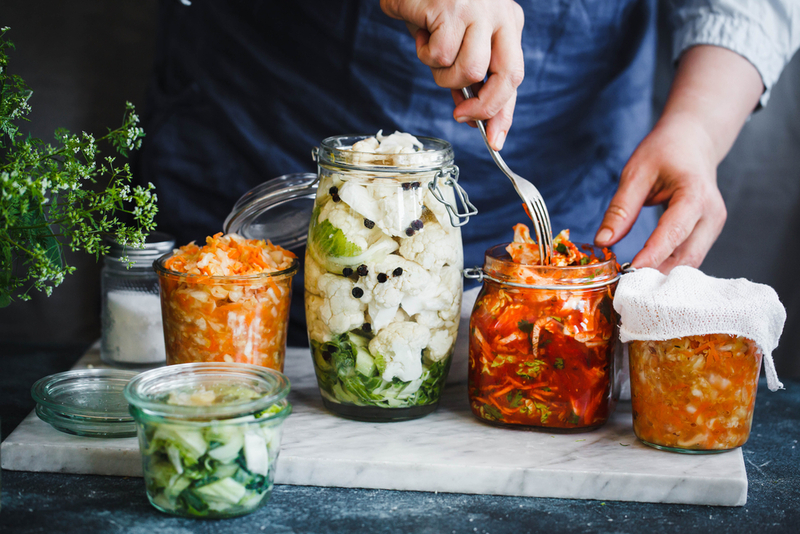 Think fermented foods, high-protein main dishes, and fun food stations. We’ve gathered all the hot food trends for this year’s wedding season just for you. Here’s a list of trendy food ideas that will ‘wow’ your guests. At en Ville Event Design & Catering, we always encourage couples to have some healthy options in the wedding menu. Probiotic-rich foods are a healthy addition to keep your metabolism active, boost immunity and keep your mind alert. There are so many options that could fit perfectly in your wedding menu. Consider yogurt, pickles, tempeh, and kimchi as excellent additions to your wedding menu. You can even incorporate cocktails in your drink station with sweet fermented drinks. When you think high-protein dishes, meat is probably first in your menu. But that’s not what we have in mind. In 2019, wedding couples are opting for menus that are low on meat but still high in protein. Some amazing options include chickpeas and quinoa that add taste and flavour, your guests won’t even notice they’re missing the meat. High protein main dishes that don’t incorporate meat can keep everyone full and energized for the wedding party. Enormous food portions are not only bad for your waistline but may cause your wedding budget to skyrocket. Those miniature foods can add sass and create Instagram worthy pictures for your guests. You also get a chance to give your guests something special in bite-sized portions. 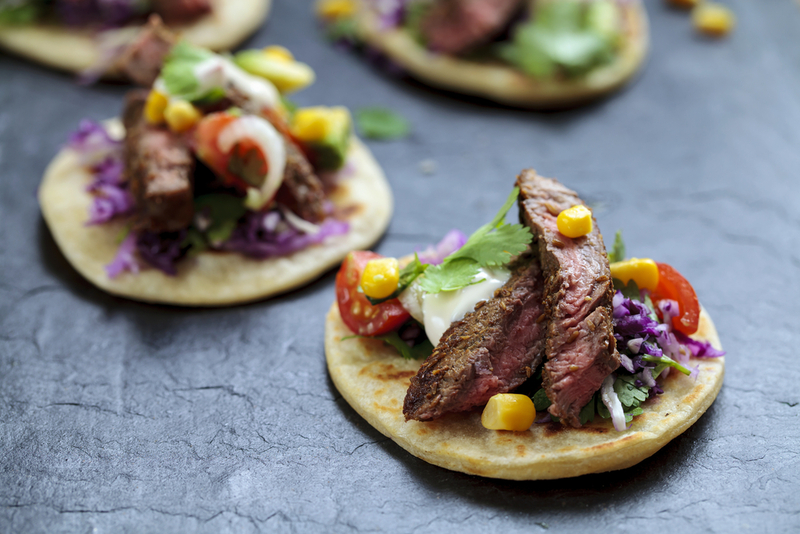 If you want to incorporate your favourite dishes but lack the budget to offer steaks for everyone, consider shrinking it down to make some marvelous minis. Finger foods are relatively simple to make and can come in handy as elegant appetizers at your wedding. If you can, get your wedding caterer to cook certain meals on-site and serve your guests food that’s freshly cooked. This will be a highlight at your wedding reception. Another alternative is to set up a food station such as a sushi station where your guests can choose the ingredients they love and make it on their own. It’s a fun way to keep everyone entertained and watch as everyone creates something special on their plate. Discuss this with your caterer beforehand to ensure there’s adequate space to set up the food station and all the guests are catered for. 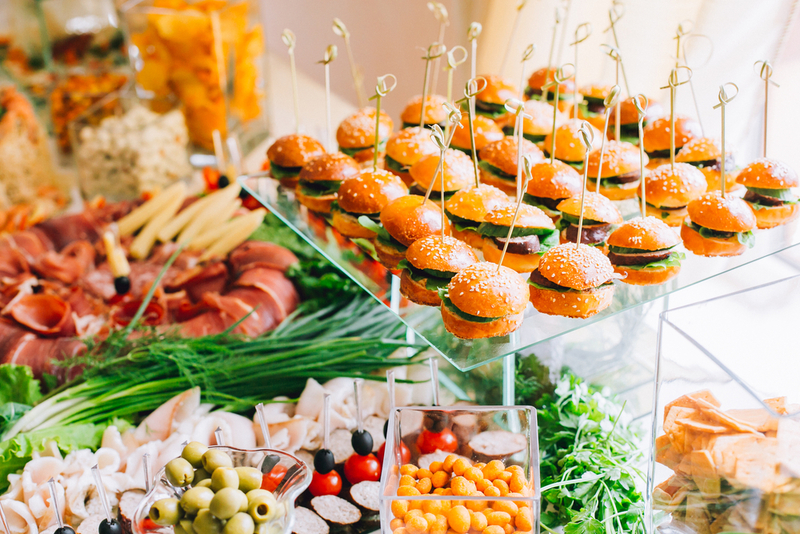 Food stations can be a mess if there’s no adequate space at your wedding reception. The meaty mains have become so cliché in weddings. That’s probably why many couples are ditching them and going for grain and salad bowls this wedding season. Not only does it give you an opportunity to serve healthy meals but also add a beautiful and classic theme to your wedding menu. You can either serve the salads for each guest or just leave them to pick the veggies, grains, and sauces they like most. 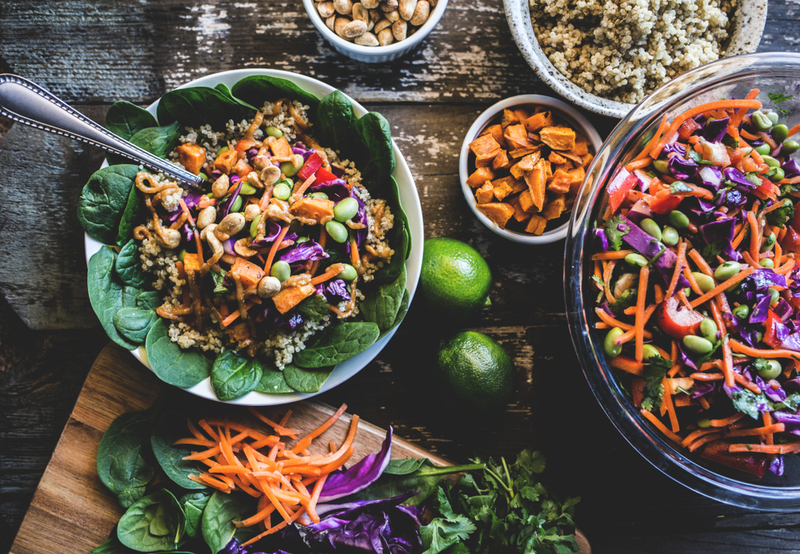 These magical bowls can be that healthy twist you’re looking to add to your wedding menu. 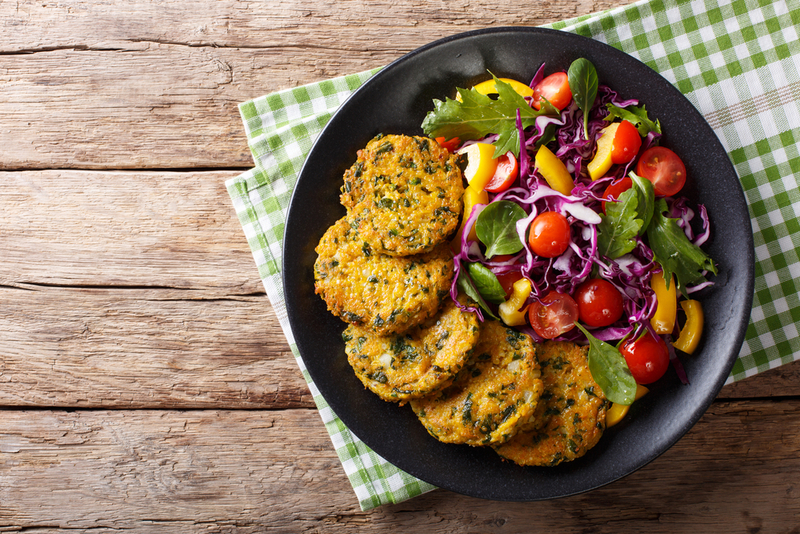 Don’t be afraid to think outside the box when it comes to veggies and grains. Consider what’s currently in season as well as what goes well together. The idea of having food trucks at your wedding reception, though not new, is still welcome in 2019. You can hire a truck or two to serve almost any type of wedding cuisine you can think of. You can have a truck to serve guests beverages like cocktails, tea, and coffee especially those who stay until late at night. If you have several snacks or bite-sized foods on your main menu, a food truck would work well. 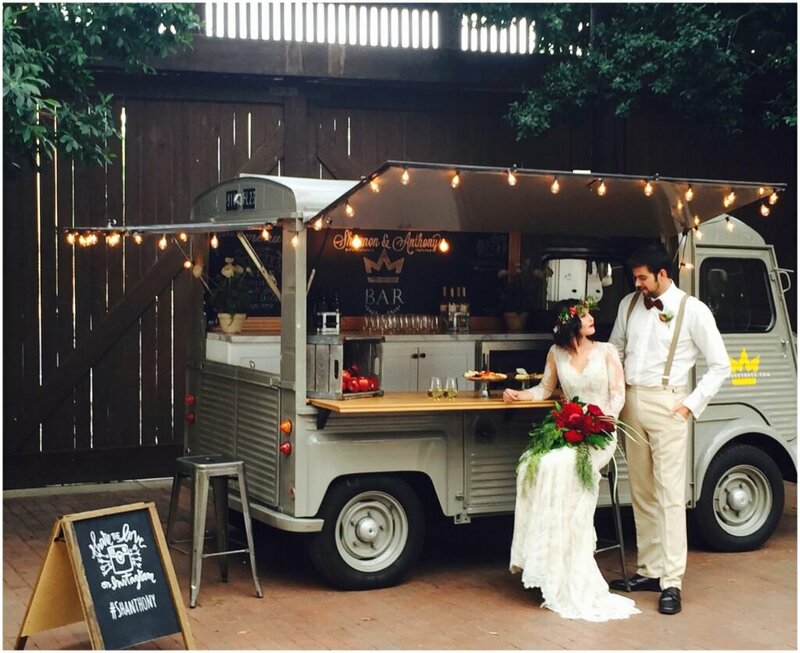 Whatever you have in mind, discuss with your wedding caterer and find a food truck that perfectly suits your wedding party. Don’t keep your guests hungry when they stay a little longer after the reception. There are so many affordable late-night snacks that can fit in your wedding budget. Popular options include pizzas and burgers but don’t be afraid to be adventurous in this department. Think of what you’d normally eat on a night out and use this to get some ideas of what kind of snacks would fit.